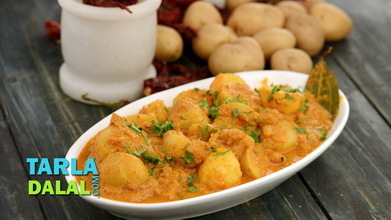 A ever-popular aloo sabzi, it is a great combination of potatoes marinaded with curds and spices. 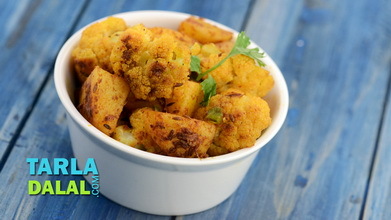 Serve this hot with puris/ parathas or naan. . . 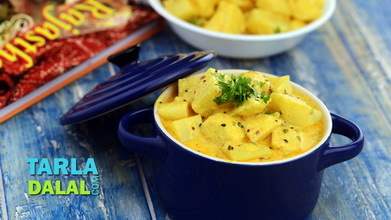 Combine the curds, poppy seed paste and salt in a bowl and mix well. 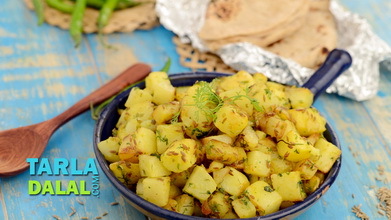 Add the potatoes, mix lightly and keep aside to marinate for 10 to 15 minutes. 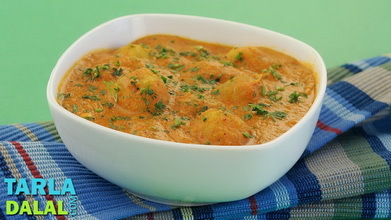 Heat the ghee in a non-stick kadhai, add the onions, cloves and cardamom and sauté on a medium flame for 1 to 2 minutes. 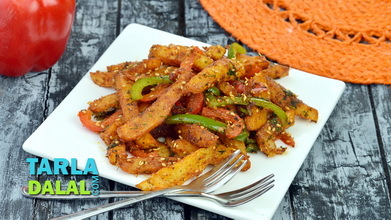 Add the prepared masala paste, mix well and cook on a medium flame for 1 minute, while stirring continuously. Add the marinated potatoes and ¼ cup of water, mix well and cook on a slow flame for 2 more minutes, while stirring occasionally. Add the cream, salt and sugar, mix well and cook on a slow flame for 10 minutes, while stirring occasionally. 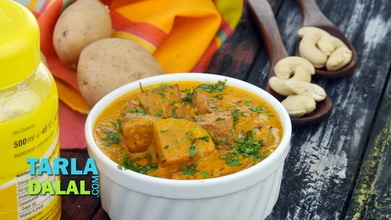 Serve hot with puris, parathas or naans.